A $76 million joint-haul between the Trump campaign and the RNC far outpaces those in the Democratic presidential field. 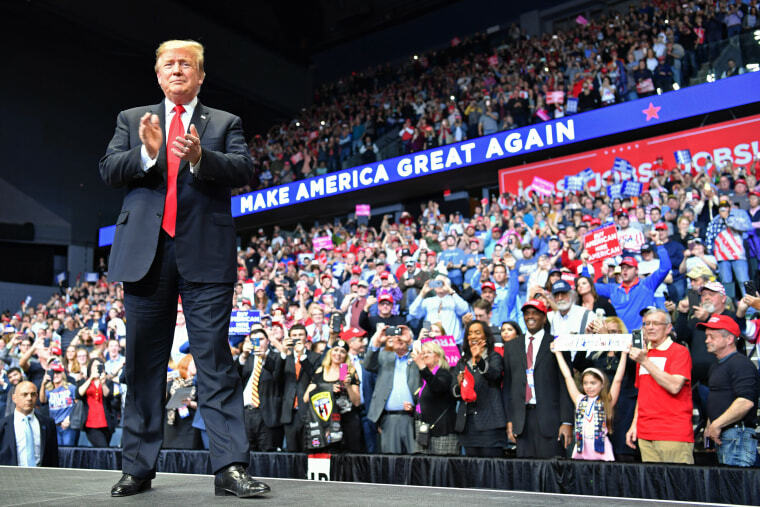 WASHINGTON — President Donald Trump’s campaign raked in $30 million in the first quarter of 2019 and had more than $40 million cash on hand, amassing a record war chest and far outpacing the field of Democratic candidates heading into the 2020 race, according to the campaign. Combined with $46 million raised by the Republican National Committee, the full Trump re-election effort is expected to have a grand total of $82 million in the bank, with the campaign doubling what it had at the end of last year. Trump's total is more than the top two Democratic candidates combined — Vermont Sen. Bernie Sanders, who pulled in $18.2 million for the quarter and California Sen. Kamala Harris, who took in $12 million. In all, the eight Democratic campaigns that have reported their totals ahead of Monday's filing deadline have raised a combined $65.8 million, although none of those candidates started raising money as early as the Trump campaign. As the incumbent, Trump already has certain advantages when it comes to raising money. But the fundraiser-in-chief has taken this traditional benefit further than any of his predecessors. He is the only president to ever file re-election paperwork the evening he was inaugurated, and his team has been steadily seeking donations ever since. By comparison, former President Barack Obama had not announced his 2012 re-election plans until after the first quarter had passed in 2011. Over the first two years of the Trump administration, his campaign had brought in nearly $130 million, easily beating out any other sitting president at this stage. The Trump-Pence ticket has a head-start over the crowded field of Democrats vying for their party’s nomination, something the campaign is quick to point out. After a primary campaign, “we expect them to be bruised, battered, and broke,” a senior campaign official told NBC News. The bigger fundraising picture for the Trump effort will be revealed once the campaign files its quarterly report with the FEC Monday, including details about how much and where the campaign has spent thus far. Trump’s 2020 setup is far more traditional than his first presidential bid, when he even pledged to self-fund his run. “I don’t need anybody’s money. I’m using my own money. I’m not using the lobbyists. I’m not using donors. I don’t care. I’m really rich,” he said during his 2015 launch, after coming down the escalator at Trump Tower. Now, with the full support and resources of the RNC, the president’s campaign is planning to launch a “bundling” program for super-donors to help bring in more money from wealthy supporters in their circles. Trump’s entire 2016 campaign brought in $333 million. At this pace, their second attempt will easily outraise that. Campaign manager Brad Parscale believes they may spend $1 billion this time around, which would be three times more than what it cost last cycle. Aides attribute the huge first quarter haul, in part, to the end of the Mueller investigation and Attorney General Bill Barr’s four-page letter that stated the special counsel did not find a criminal conspiracy between the Trump campaign and Russian officials to influence the 2016 election. Immediately after it was released, Trump’s 2020 staffers launched a strategy to capitalize on the positive headlines for the president. They blasted fundraising emails, text messages, new videos and even created new merchandise for the campaign website featuring the top-line summary from Barr. “We typically do not give numbers on individual fundraising pushes, but the fundraising in the aftermath of the Barr letter ranks among our very strong fundraising efforts. Our supporters were rightfully frustrated by two years of Democrat lies,” a Trump campaign spokeswoman said. The timing also likely played a part. The first quarter deadline ended March 31, well before any version of the Mueller report was sent to Congress or made public. The redacted, nearly 400-page version is expected to be released in the coming days. 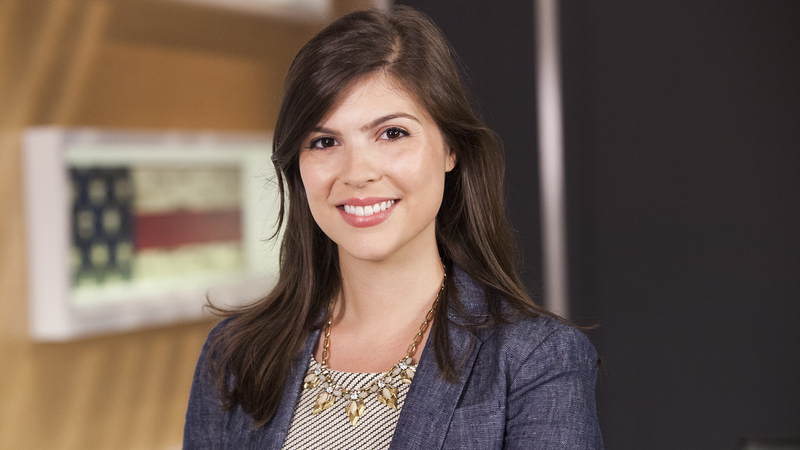 Monica Alba is a political reporter for NBC News.